is honored on Panel 28W, Line 68 of the Vietnam Veterans Memorial. Thank you for your service as an Infantryman. Happy New Year. It has been too long, and it's about time for us all to acknowledge the sacrifices of those like you who answered our nation's call. Please watch over America, it stills needs your strength, courage and faithfulness. Rest in peace with the angels. 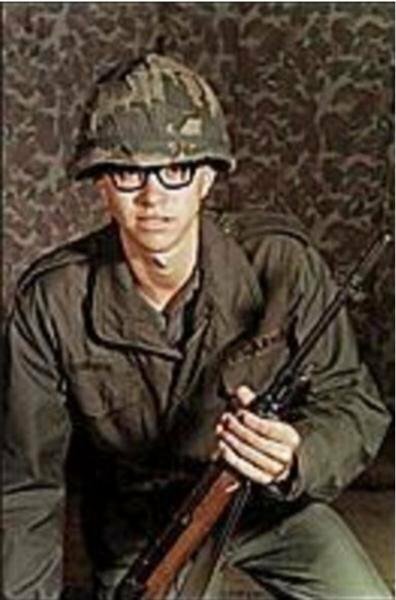 On 28 March 1969 PFC Joseph D. Goodale, Jr was awared the Bronze Star Medal with V device (VALOR) with Oak Leaf Cluster (a 2nd Bronze Star for his Heroism on thatday. His unit was under heavy fire an without reguard for his on safety Danny Low crawled som 150 meters while engaging the enemy and placed himself in an open area. PFC Goodale was wounded that day an died for his wounds. In the Augusta Hearled on 22 September 1969 there is a Picture of his Mother, Father, Brother, an Aunt pictured. There is a store on another page that is missing that has other actions taken Danny took that day and I rember them however I want written proff before I go futher.